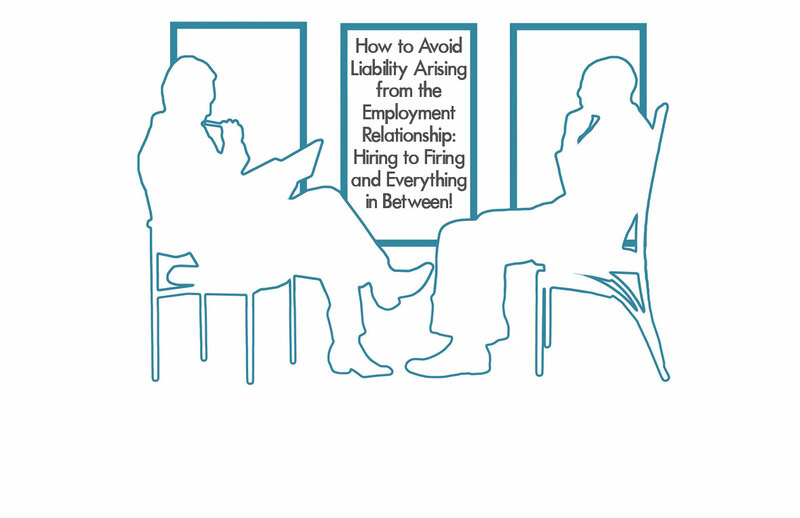 How to Avoid Liability Arising from the Employment Relationship: Hiring to Firing and Everything in Between! Risks that arise in the hiring process, from interview to job offer. Common issues that arise during the course of employment, including compliance with state and federal discrimination and leave laws. Recommendations for properly implementing a performance appraisal process. Suggestions for a practical disciplinary and termination decision-making process. Too often managers and other company officials have insufficient legal knowledge and experience regarding claims that can arise out of the employment relationship. This session will provide management and human resources professionals with a general overview of state and federal laws that are commonly implicated throughout the employment relationship, including discrimination, breach of contract, whistleblower, retaliation, defamation, and tortious interference with contract, as well as practical information on how to reduce the risk of liability arising during employment. Stacey DeKalb will also address how to conduct performance appraisals properly so that they can be an effective management tool. You can watch the presentation online via Live Broadcast! You can choose to watch live as it is happening or any time after the presentation is done.